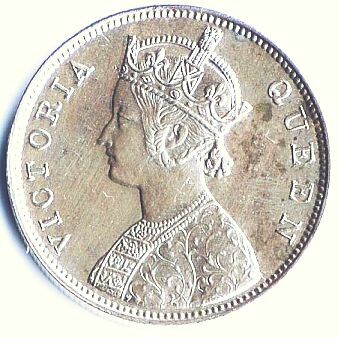 Coins minted from 1862 through 1873 all have the date 1862. 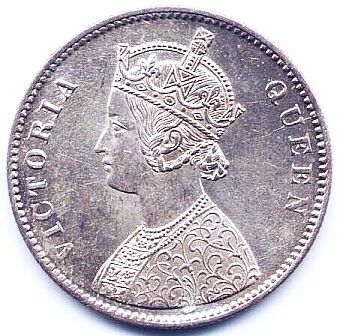 The legend reads "Victoria Queen" for coins dated 1862 - 1876. 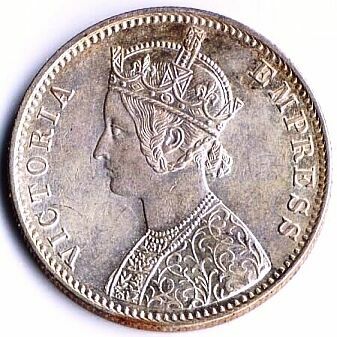 It reads "Victoria Empress" for coins dated 1877 - 1901. 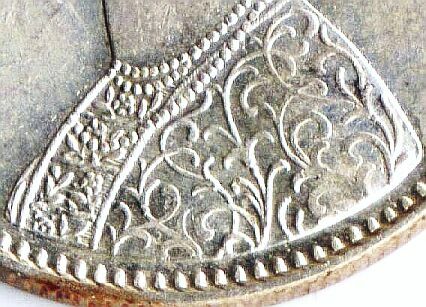 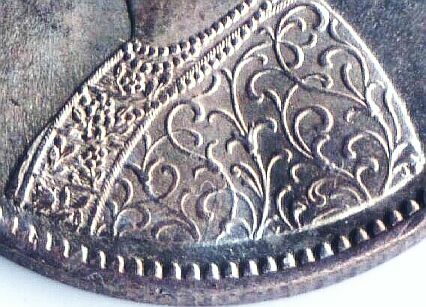 The Rupee coin has three distinct Obverse designs, which can be identified by examining the panels on the front of the dress. 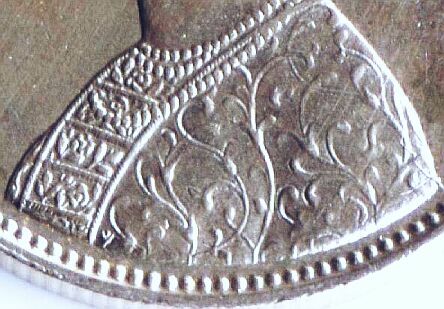 Detail of Bust Type "A"
Detail of Bust Type "C"
Detail of Bust Type "B"